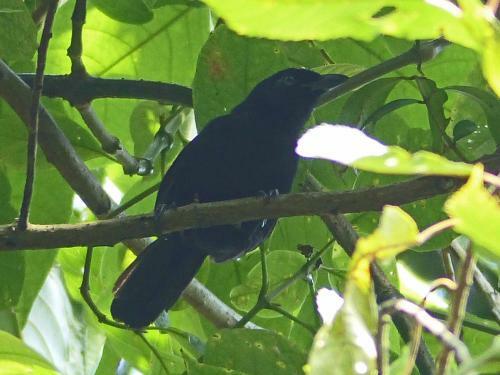 The best photos we've ever seen of Willard's Sooty Boubou (Laniarius willardi)--you can even see its gray iris. Fantastic! 11 December 2014: Last night was the Field Museum's Council on Africa's end-of-year dinner and meeting. The "Africa Council," as we call it, is a group of museum devotees who are particularly loyal in their support of our research and training programs in Africa. Curator John Bates gave a talk summarizing some of the people and work that the African Council has supported over the years--it was a very impressive assortment of people and projects! Since its inception, the African Council has contributed over $400,000 to a wide variety of projects, including bringing African scientists, students, and museum technicians to Chicago, bringing Field Museum scientists to Africa, and sponsoring lab work and other research on samples from Africa. We at the museum owe them a huge debt of gratitude--so thanks to the Africa Council! 14 October 2014: We have uploaded the master's thesis abstract of Wanyoike Wamiti. See the news item from 19 August for more. He studied the ectoparasite loads of Speckled Mousebirds (Colius striatus) and Red-capped Larks (Calandrella cinerea) in different habitats in Kenya. Mousbirds have a lot of lice! 9 October 2014: Early in 2014, Curator John Bates was contacted by a man named Daniel Parelius. A retired postal carrier and child of missionaries, Dan had spent much of his high school years in the Ivory Coast. An interest in birds led him to contact then-curator Mel Traylor about collecting birds for the Field Museum. Mel responded with an enthusiastic "Yes, please!," an agreement was made to pay Dan $1.50 for each specimen, and several years later the Field Museum contained the entire Parelius collection, nearly 2,000 birds collected over 6 years in the Ivory Coast. When Dan wrote John, his basic question was "Has anybody done anything with the birds I collected?" The answer: Not since 1967. So Josh Engel set out to see just what was in the Parelius collection, and, as it turned out, there were some interesting specimens, including a species of warbler that had never been recorded in the country. This resulted in a publication co-authored by Josh, John, and Dan in Malimbus, "The Parelius bird collection from Ivory Coast at the Field Museum of Natural History, and the first country record of Rufous Cisticola Cisticola rufus," which can be downloaded from the Publications page. 19 September 2014: Our colleague Holly Lutz, a doctoral student at Cornell University and long-time associate of the Field Museum, reports in from Kenya, where she's doing field work on bats (she studies birds too! ): "Following up on discoveries I've made about the close relationships between avian and bat malaria parasites in Africa, I am collecting samples from bats in Kenya, with the help of Dr. Paul Webala, to further study the evolutionary history of these parasites. I am preparing blood samples from these bats on a special type of microscope slide that will allow me to dissect out individual parasites and sequence their genomes once I am back in the lab. What genetic changes are associated with transitions of malaria parasites from birds to mammals? How many times have these changes occurred, and are they similar or different among different parasite species? These are just a few of the questions I am trying to answer with my research. Very little is known about which Kenyan bats are carrying what parasites, so I am trying to sample as broadly as possible in terms of host species and habitats - including open savannah, tropical rainforest, volcanic caves and lava tubes, and abandoned diatomite mines." See Holly's website to learn more about her research. 19 August 2014: Congratulations to Wanyoike Wamiti on earning his master's degree from Kenyatta University in Nairobi, Kenya! Wamiti spent several months at the Field Museum working on his project, which you can read about on the Students page. We'll post the abstract of his thesis when it's fully finished. He was also just in the United States attending the 5th International Conference of Phthiraptera in Park City, Utah. Part of his trip was funded by the museum's Council of Africa. 2 April 2014: We've added another recent publication by members of the Bird Division along with colleagues in Congo and Denmark. 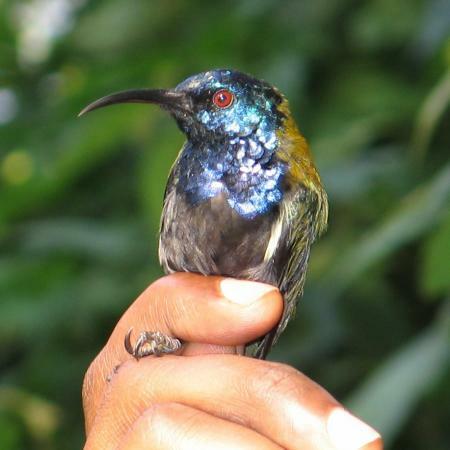 The study, published in the journal Ibis and titled "Genetic structure offers insights into the evolution of migration and the taxonomy of the Barred Long-tailed Cuckoo Cercococcyx montanus species complex," got its start when a P-BEATRA training program in Congo collected particularly interesting Cercococcyx montanus specimens. They were clearly of the migrant subspecies, which had only been recorded twice previously in Congo. Using DNA samples from the Field Museum and the Zoological Museum of the University of Copenhagen, plus study skins from the Yale Peabody Museum and the Los Angeles County Museum of Natural History, we examined the differences in genetics, behavior, and plumage between the migratory subspecies of east and southeast Africa and resident subspecies in the Albertine Rift. The paper can be downloaded from the Publications page, and you can read more about the study at the blog of the British Ornithological Union. 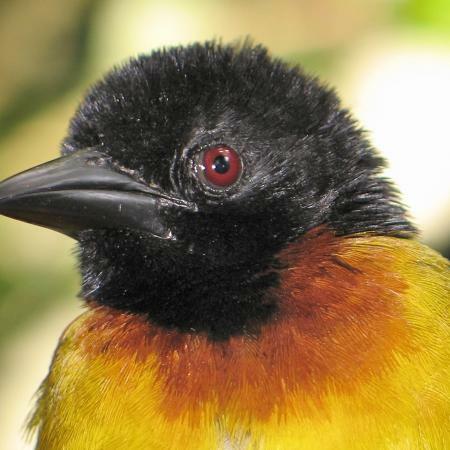 13 March 2014: We were thrilled to recently receive an email from legendary birder Peter Kaestner with a superb photo of a bird near and dear to our Bird Divison hearts--Willard's Sooty Boubou. Its painting--by Tom Gnoske, who first noticed that it may be different from its close relatives--is the frontispiece to this website (see the bottom of the page). It was described to the world in 2010 by scientists from within the Bird Division and our colleagues elsewhere. It's also named after our long time collections manager, Dave Willard. You can read more about the African Birds team looking for the bird in the wild on John Bates' blog. The paper with the original description can be found on our Publications page. This is far and away the best photo of the species that we have seen--the photo can now be found here. 27 February 2014: Congratulations to Innocent Balagizi for succesfully defending his master's thesis. He graciously sent us the full document which is downloadable from the Publications page. See the news item from 28 January for more information. 20 February 2014: The Bird and Mammal Divisions are thrilled to welcome Sadic Waswa to The Field Museum. Sadic is a student at Makerere University in Uganda and is at the Field to collect data for his thesis. He's already been here for a few weeks acclimating to the cold and snow of a real Chicago winter and starting to collect data. You can read more about him and his project on the Students page. 12 February 2014: We're very excited to see some of the best biodiversity heat maps be made publicly available. They are based on a study originally published by Clinton Jenkins and colleagues in the prestigious PNAS journal in 2013. One thing that we love about them is how the Albertine Rift really stands out in many of the maps. For example, in Birds check out global bird diversity and non-passerines (the map labeled "non Passeriformes"). For Mammals check out global mammal diversity, rodents (Rodentia), and primates. Cool stuff! 28 January 2014: Our friend Innocent Balagizi wrote to let us know that he is defending is master's thesis this week. He sent us the abstract, which is posted in the Biodiversity and Conservation section on the Publications page. His research will have very important implications for plant conservation and biology education in eastern Congo, focusing on teaching about medicinal and wild food plants in the region's secondary schools. He writes, "We are working on medicinal and wild food plants of the eastern DRC for technology development and food security! Now we have a community outreach programme [based on] the experience of P-BEATRA." It's great to see the Field Museum's training programs in the region, like P-BEATRA, continuing to influence science and conservation in the Albertine Rift. 19 November 2013: Our Publications page continues to grow. Today we added two new papers from the Bonn zoological Bulletin by Field Museum and Roosevelt University mammalogist Julian C. Kerbis Peterhans and colleagues from DR Congo, Germany, and Uganda. These papers describe the mammal fauna of the poorly known southern Albertine Rift forests of Misotshi-Kabogo on the eastern shore of Lake Tanganyika and include the descriptions of four new species, two shrews and two insectivorous bats. The papers also suggest that other specimens collected may represent undescribed species. This clearly highlights the need for further biodiversity surveys in this region, one that has been difficult to access in recent years due to lack of infrastructure and civil strife. The papers can be downloaded in the Mammals section on the Publications page. 1 October 2013: Last week we bid farewell to three esteemed visitors from the Kenya Wildlife Service, Dr. Edward Kariuki, Christine Boit, and Oliver Chapa (see photo above looking at insect specimens with Collections Manager Jim Boone). Hosted by Birds Curator John Bates, they had a wonderful, productive visit, including several days visiting the two Chicago area zoos and much of the rest of their time talking to scientists and educators at the Field Museum. They also managed to fit a Cubs baseball game into their busy schedule! 25 July 2013: Congratulations to Mammals Collections Manager Bill Stanley and his colleagues from around the world for the publication of a remarkable new species of hero shrew from the lowlands of D.R. Congo, which they named Scutisorex thori, or Thor's hero shrew. There are now two known species of hero shrews, which have fused vertebrae that give extraordinary strength to their backbone. Why do they have this feature? No one knows. The paper was featured widely in the popular press (for example, here). The original paper, published in Biology Letters and featuring three authors from the Field Museum as well as others from around the U.S., Europe, and the Congo, can be found here. 23 July 2013: We have added a publication by Field Museum Bird Division personnel and a colleague from the National Museums of Malawi about the birds of Vwaza Marsh Wildlife Reserve based on our expedition there in 2009. Vwaza is tucked away in the north of Malawi, on the border with Zambia, and is an important site for the conservation of miombo woodland (a woodland type found only in south-central Africa) and its associated fauna. The paper includes six species new to the reserve's bird list as well as a comprehensive bird list for Vwaza based on literature going back to C.W. Benson's publications about the birds of Malawi from before World War II. A pdf of the paper, published in The Journal of East African Natural History, can be downloaded here. 17 June 2013: We have added publications from Kazadi Minzangi, a plant chemist at CRSN-Lwiro, about the oil contents of wild plants of eastern D.R. Congo. See the Publications page for PDFs. 6 June 2013: We were very excited to learn about a paper just published in Herpetology Notes by our herpetology colleagues at CRSN-Lwiro (the lead author, Chifundera Kusimba), the Field Museum (herpetology collections manager Alan Resetar), and other institutions about the remarkable last meal of a snake-eating snake, a snake nearly as large as the predator itself! The photos in the article are not for the faint of heart. Click here to download a pdf. 5 June 2013: We've added a map to the collections page showing the strength of our African collections, country-by-country. Scroll to the bottom of the page to see the map. Our largest African series are from Kenya, Uganda, and Cameroon, followed by Angola and Malawi. To see the equivalent map for the whole world, visit the Bird Division's main collection page, and click on "more" at the end of the introduction. 13 May 2013: The joint bird and mammal expedition to western Uganda concluded successfully with the specimens arriving safely back to Chicago for distribution around the museum and to collaborators around the world. The team worked in the forests of Kibale National Park and Kasyoha-Kitomi Forest Reserve with the wonderful help and support of administrators and staff of both reserves. Now the next phase of work begins--the analysis of the collected samples. Eventually we will add a gallery of photos from the trip, but until then enjoy the Shoebill image above! 27 February 2013: A Field Museum team has arrived in Uganda for biodiversity surveys, but before heading into the field they co-hosted a symposium at Makerere University in Kampala called "Insights into Past & Present Afro-Tropical Biodiversity." The symposium was arranged by Julian Kerbis (see 18 August 2012 update below) and the Department of Biological Sciences and included eight presentations on topics as wide-ranging as African malarial parasite diversity, Miocene primates in Uganda, and conservation genetics of African birds and large mammals. Besides Makerere and the Field Museum, speakers came from Southern Mississippi University and the University of Michigan. A highlight was a superb talk by Arthur Tugume of Makerere University who argued that many devastating plant viruses--including ones affecting sweet potatoes and cassava--originated in East Africa. 31 January 2013: Field Museum collections manager Ben Marks and his colleagues at Texas A&M and University of Bukavu and University of Kisangani in D.R. 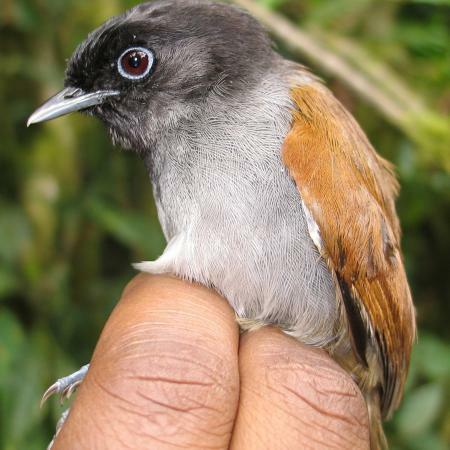 Congo published a paper in Ecology and Evolution describing genetic breaks in four forest understory birds across the Congo River, one of Africa's great rivers (see the full citation on the Publications page). Patterns of avian diversity across river barriers are well-document in South America, but this seems to be the first time it has been shown in Africa. The samples used in the study come from field work by Ben, Charles Kahindo, and colleagues in the Congo Basin in 2010 and 2011 as well as samples collected on Field Museum expeditions to the Albertine Rift. Click here to download a pdf. 28 January 2013: Our colleagues at Illinois State University have a paper in a forthcoming issue of Geocarto International that develops a GIS-based method for correlating body condition of a wild animal with anthropomorphic affects on its habitat [Loew et al. 2013, see the Publications page for the full citation]. They used data from georeferenced specimens of Lophuromys aquilus, the dark-colored brush-furred rat, collected by Field Museum teams (mostly led by Julian Kerbis) from fifteen sites throughout the Albertine Rift going back to 1991. 23 January 2013: The Bird Division welcomes Wanyoike Wamiti for a two-month visit to Chicago. Joining us from Kenyatta University in Nairobi and the National Museums of Kenya, Wamiti will be working on his master's thesis with Jason Weckstein and learning DNA sequencing techniques from Heather Skeen. His visit is sponsored by the Field Museum's Bird Division. You can read more about his project here and see more about the Bird Division's training program here. 24 December 2012: Volume 3 (2012) of the Annales des Sciences of the Université Officielle de Bukavu is now up as well. The two previous volumes can be found on the archives page. 20 December 2012: We are very pleased to now have the complete contents of the Annales des Sciences of the Université Officielle de Bukavu available as pdf files. There are papers from a wide range of scientific disciplines--from vertebrates to plants to hydrobiology, cartography, and chemistry. 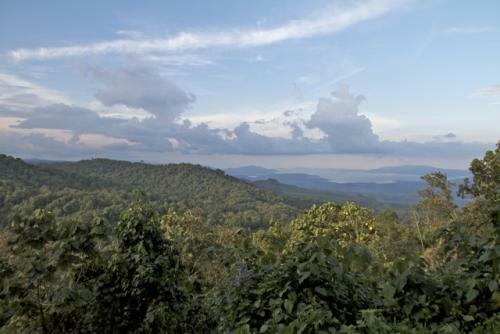 Much of the work is focused on vastly understudied areas of eastern Congo (DRC). 13 December 2012: Congratulations to Federico Pardo on winning the AAAS Science Award from the 5th annual Imagine Science Film Festival! We've mentioned his video here before, but it's definitely worthy of another plug. The video--Discovering Mount Gorongosa--was filmed on a Field Museum bird and mammal expedition to the mountain in 2011 and is certainly deserving of this award (and others!). 27 November 2012: We are deeply concerned about the latest security crisis to hit eastern Congo (DRC), with the M23 rebels having taken over the control of Goma, the capital and financial center of North Kivu Province. Indeed, some of our colleagues are in Goma and unable to leave because of the situation. If the rebels continue to move south towards Bukavu, they could potentially overrun CRSN-Lwiro, the scientific institution with whom the Field Museum has collaborated on many projects over the last decade. We are all hoping for a speedy resolution to the latest crisis and the safety of our friends and colleagues in the region. As we have mentioned before here, an excellent (and non-mainstream) source for first-person news from this region can be found at the blog of Congo's Virunga National Park. 26 September 2012: The Bird Division is excited to welcome Onesmus Kioko for a two-month training visit (see a photo of him at work here). Kioko is a technician at the National Museums of Kenya (NMK) in Nairobi and is visiting the Field Museum to improve his preparation techniques. In January 2013, the Bird Division's chief preparator, Tom Gnoske, will be visiting Kenya to continue the training and he and Kioko will be working to prepare material from the NMK's specimen freezers. Both visits are being funded by the Field's Museums Council on Africa. Karibu sana, Kioko! 30 August 2012: Congratulations to Nick Block for defending his Ph.D dissertation on the evolution of birds and their parasites on Madagascar (not exactly Africa, but it's close). He also won a student award for his talk at the recent North American Ornithological Conference for his talk on one chapter of his dissertation about Long-billed Bernieria (Bernieria madagascariensis) called “Parasites reveal despeciation of deeply divergent lineages in a passerine.” His work focused on birds in the family Bernieridae, a group of warbler-like birds found only in Madagascar. 21 August 2012: Josh Engel presented a poster "Determining range and species limits in the Barred Long-tailed Cuckoo (Cercococcyx montanus) complex" at the North American Ornithological Conference in Vancouver, BC, last week. While there were few Afrocentric posters and presentations at the congress, the ones that were there were excellent. These included talks on how past climate has affected bird phylogeography in montane forests in Africa, phylogenetics of the obligate nest parasites Viduid finches (which are found only in Africa), and genetic divergence in populations of two nest parasite--Greater Honeyguide and Cuckoo Finch--based on their host species. All three of those studies contained data collected from Field Museum specimens. 18 August 2012: Field Museum mammologist Julian Kerbis has arrived in Uganda to start a year as a Fulbright fellow at Makerere University in Kampala. We're thrilled to see continued strong collaboration between the zoology departments at the two institutions, which goes back over twenty years. 25 July 2012: Congo's Mountain gorillas and those who are dedicated to protecting them are again in imminent danger due to ongoing fighting in Virunga National Park, the gorilla's last stronghold in eastern Congo. You can keep up to date on the fighting and the plight of both the gorillas and the people who populate the park on the extraordinary Virunga National Park blog, where the bloggers are currently posting from a war zone. This remarkable video, an updated version of a video made in 2008--the last time major fighting occurred in the park--is worth a few minutes of your time. 11 July 2012: Dominique Nyakabwa Mutabana (known as Nyakabwa or Prof), one of Congo's leading academics and botanists, passed away last week. Read John Bates' and Charles Kahindo's tribute to him here. 10 July 2012: Many publications based on our work in Africa are now available on the publications page, most of which are not freely available elsewhere on the web. 1 July 2012: Congo 2012 expedition photo gallery by Josh Engel. 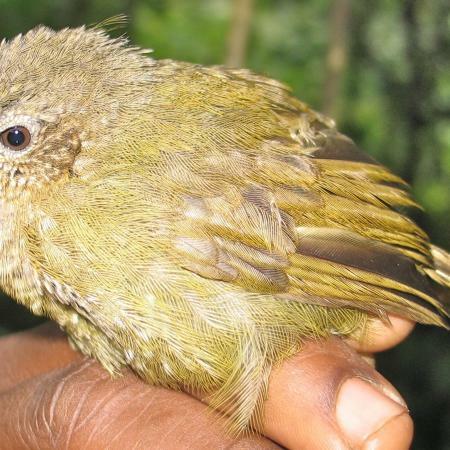 17 May 2012: John Bates blogs about obtaining the first ever recording of the recently-described Willard's Sooty Boubou (Laniarius willardi), a rare Albertine Rift endemic, in Bwindi-Impenetrable National Park, Uganda. The recordings, by Josh Engel, can also be heard here on xeno-canto.org.